Travel: X19.80”, Y24.12”, Z20.08”, Mazatrol Matrix 5X Control, CAT40, 12,000RPM, 30HP, Mazak MP-10 Optical Monitoring System B, 40 tools. Travel: X24.80”, Y30.12”, Z20.08”, Mazatrol Matrix 5X Control, CAT40, 12,000RPM, 30HP, Mazak MP-10 Optical Monitoring System B, 40 tools. Mazak MTV-815/80 CNC Vertical Machining Center. Travel: X80”, Y30”, Z30”, Mazatrol 640M Fusion Control, CAT50, 6000 RPM, 35 HP motor, 60 tools. Mazatech V-414/32 CNC Vertical Machining Center. Travel: X35”, Y16”, Z16”, Mazatrol M+ Control, CAT40, 7000 RPM, 20 HP, 24 tools. 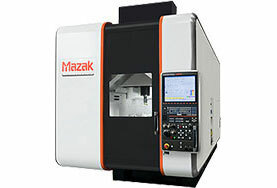 Mazak SV-25 CNC Vertical Machining Center. Travel: X80”, Y32”, Z30”, Mazatrol M32 Control, CAT50, 2500 RPM, 25HP, 40 tools. Mazatech V-550A CNC Vertical Machining Center. Travel: X41”, Y22”, Z21”, Mazatrol M32 Control, CAT50, 3500 RPM, 35HP, 30 tools. Mazatech V-550B CNC Vertical Machining Center. Travel: X61”, Y22”, Z21”, Mazatrol M32 Control, CAT50, 3500 RPM, 35HP, 30 tools. 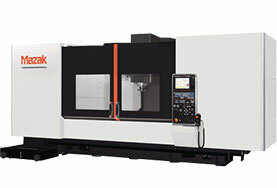 Mazak V-20 CNC Vertical Machining Center. Travel: X100”, Y32”, Z30”, Mazatrol M2 Control, CAT50, 2000 RPM, 20HP, 40 tools. 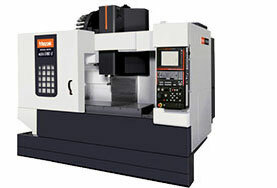 Mazak QT-35 CNC Turning Center. Mazatrol T2 Control, 20” diameter x 40” center, 3000RPM, program tail stock. Bridgeport milling machines with accessories and attachments. Mazak engine lathe, 21” diameter capacity x 80” center with gap of 28” diameter. Hardinge chucker with automatic threading attachment & accessories. Hardinge hand screw machine with accessories. Blanchard grinder No. 18, with 30’ rotary surface and 32” diameter capacity. Sunnen precision honing machine, 10 speeds with gages, fixtures, and accessories. Armstrong Blum Spartan Series PA10 horizontal automatic cut off saw with 10” capacity. Kysor-Johnson vertical band saw with 10” x 20” capacity with hydraulic table. Forklift, electric, 5,000 lb. capacity. Our inspection department has been established in accordance with U.S. Government specifications. We are a certified supplier by Lockheed Martin Aero and General Electric Corporation (MRAS) with 100% quality rating. Mastercam X7 Level 3 CAD/CAM, capable of Catia V4/V5 translations, IGES and 5axis programming & True Verification. Running Vista by Epicor since 1999 for a complete manufacturing, payroll and job control software.